Those old school lyrics from the ditty “Don’t Fence Me In” set the scene for the home of our dreams. After years of living within arms' reach of neighbors, our military family longs for an acreage. Room to spread out. Space to feel free. Peace. Privacy. Land. If you, too, are daydreaming of a generous parcel of property, take a gander at these 3 MilitaryByOwner listings from the Western side of the United States. Stroll by the sea or wander by the woods with beaches and state parks near this Pacific Northwest property. 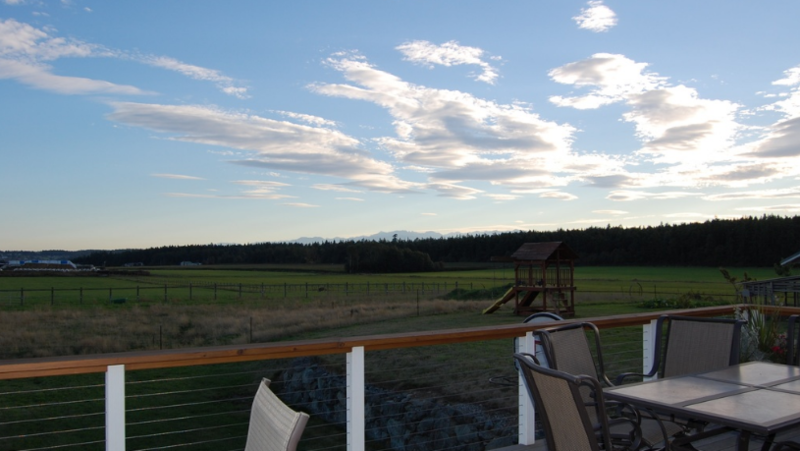 Sprawling over 10 acres, this Washington listing includes fenced corrals and fertile fields. With 5 bedrooms and 4½ baths, the home itself echoes the spacious feel of the surrounding estate. Host a family reunion or invite the entire squadron over! Rally in the oversized family room, warmed by the wood stove. Enjoy the ease of a short commute with Naval Air Station Whidbey Island within a 15-minute drive. Savor the serenity of your very own Shangri-La with this prairie property in Ebey’s Landing National Historic Reserve. Tucked in a sunny stretch of California desert you’ll find this Mead Valley oasis. The sandy sagebrush setting offers big sky views of the Temescal and Santa Ana mountain ranges. Finding a home with a good amount of land in Southern California is remarkable! Perhaps try your hand at raising small-scale livestock? This acreage offers room to roost chickens, space to graze goats, or simply leeway for dogs to linger. Step inside the home and you may feel as if you’ve entered a designer’s showroom! Elegant quartz counters, brilliant tile backsplash, and shimmering stainless appliances welcome family and friends to gather and dine. With updates throughout the 3 bedrooms and 2½ baths, you’ll find more than enough room around this retreat. 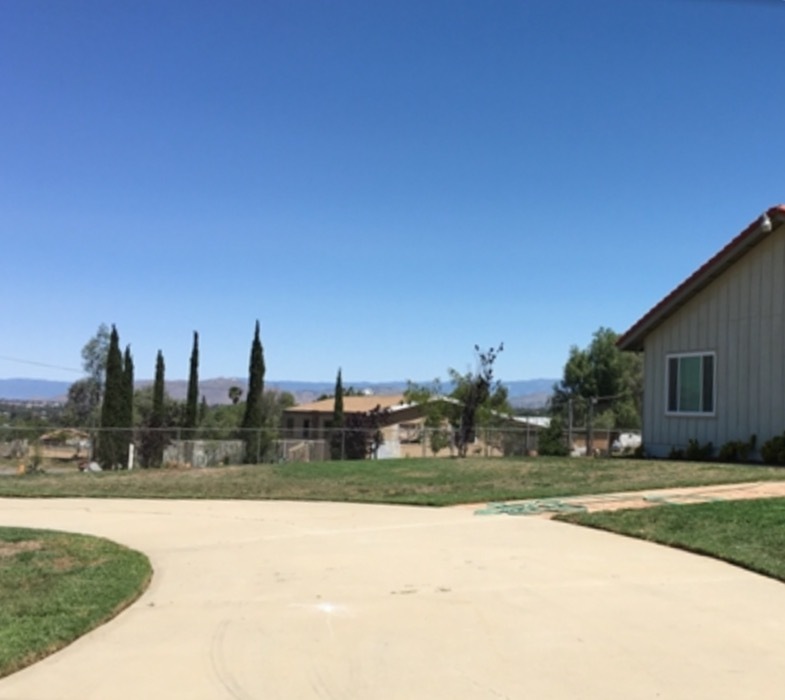 Your family may appreciate the convenience of living one mile from Columbia Elementary, two miles from Rivera Middle School, or three miles from Citrus Hill High. Also within an easy commute is March Air Reserve Base. Relish the splendors of rural life with the small town feel of this California dream! After experiencing the majestic Rocky Mountain views of Pikes Peak, Katherine L. Bates wrote the poem we know today as "America the Beautiful." 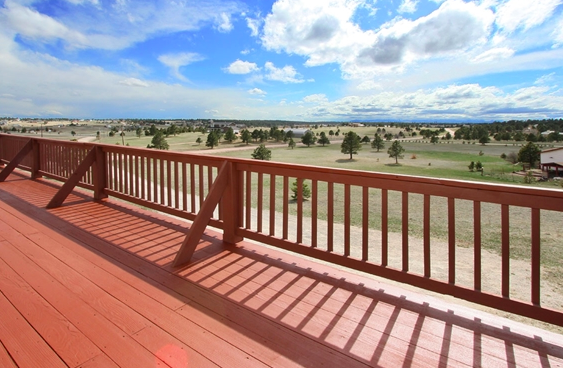 From Pikes, follow the view of "spacious skies" towards the Colorado town of Elbert and this remarkable 5-acre retreat. A seemingly endless vista beckons horses to run, dogs to explore, and children to play. Linger with the limitless view from the oversized windows and expansive decks that encircle the home. With indoor/outdoor living space, 3 bedrooms and 2½ baths, this home could be a perfect fit for a growing family. The lower level offers potential additional rooms along with walk-out access to a private patio. Just Northeast of Colorado Springs, this estate is around 25 miles from the trio of the United States Air Force Academy, Peterson Air Force Base, and Schriever Air Force Base. Embrace country living within an easy drive from the city! Does gazing online at acreages lure you to seek wide open spaces? Perhaps you’d like to hunt for grand land yourself? Look no further than MilitaryByOwner.com! The home page of the MBO website offers a helpful search engine. Begin by answering the question "Looking to buy/rent?" Then, select a "State" and "Military Base" from the dropdown options. Click the red "Search" button and off you go! When the screen shows the State and Military Base you’ve searched for, scroll down the page to view the listings. If you're looking for a listing that includes land, click the yellow box that says “Search Filters” under the “Advanced Search” tab on the left hand side of the screen. By clicking on the yellow “Search Filters” button, a drop down menu with a list of search parameters should appear. Towards the bottom of this menu, look for the “Special Features” tab. 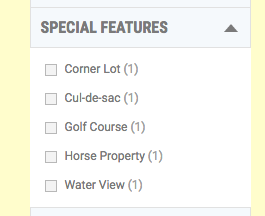 Selecting the “Special Features” tab will bring up another range of options, including search points such as “Corner lot” “Cul-de-sac,” etc. If you are hunting for an acreage, click the “Horse Property” search point. Keep in mind, not every home search offers the “Special Features” tab in the drop down menu. The “Advanced Search” parameters are based on property listings that highlight extra amenities. If you need a helping hand with your home search, feel free to contact our amazing customer service team at 866.604.9126. Whether you're at a new duty station or thinking of retirement, if you long for land, MilitaryByOwner is the best place to start. The three properties mentioned here are just a small sample of the many alluring acreages available. May you soon savor a sunset from your spacious stomping ground! *Update: While the above properties are no longer listed, you can find similar properties through MilitaryByOwner's easy search features at the links above. Happy house hunting!